Who said change was easy? Is Positive Thinking Still Relevant? Please provide your email to therapist for advance copy of intake documents. Accepting referrals. Insurance and private pay accepted. For licensed or pre-licensed Clinicians pursuing their LMSW, LCSW or MHC license, with a strong interest in Trauma focused work, Depression or Anxiety treatment a Summer/Fall internship program is in development. See internship page for details. 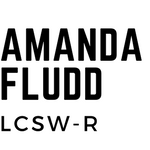 Please direct inquires to amanda@amandafludd.com.